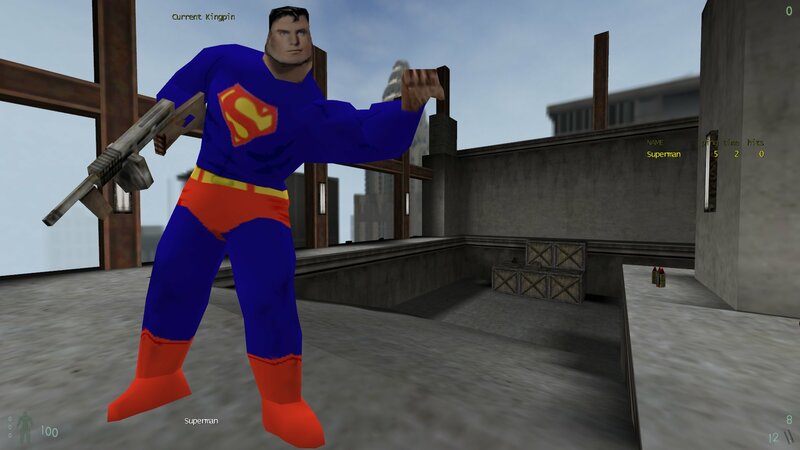 A nice looking Superman skin for the Thug model by Jackal. You can download the Superman skin from here. Just extract all files to your kingpin folder. type in - skin "male_thug/sup sup sup"